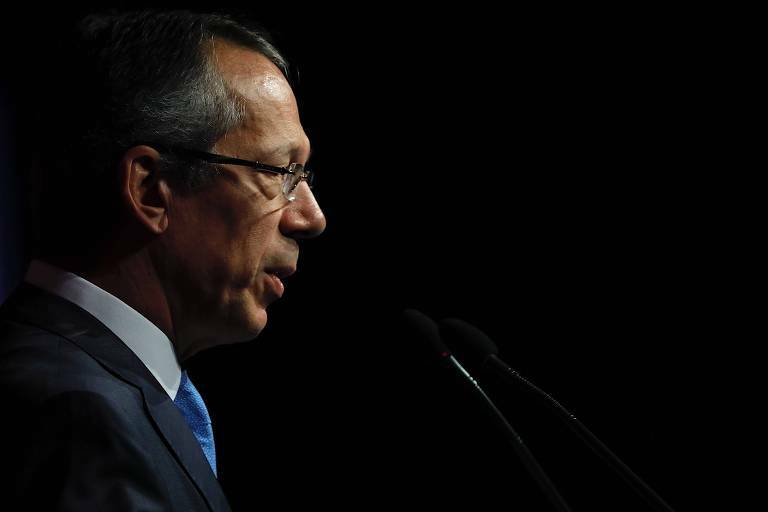 Investors from Brazil and abroad are still cautious about the Social Security reform, says Candido Bracher, CEO at Itaú Unibanco, the country's largest private bank. "The international markets are still taking a 'wait and see' approach," he said. Brazil's recession not only made the reform more palatable, but it also encouraged the growth of Brazil's private stock market, since BNDES, a federal bank that loaned out money to private businesses, had to tighten its purse strings. At Davos for the World Economic Forum, Bracher said he noticed a higher foreign interest in Brazil in two particular events. "The first was a luncheon that we host since 2014, and this year had a higher attendance than usual, with people all over the world wanting to hear Minister Paulo Guedes. The second was president Bolsonaro's plenary session." ​What do you think of these early weeks of the Bolsonaro administration? I'm very impressed with how the economic advisors have been able to assess the main issues. The main question is if the government is politically skilled to accomplish the needed negotiations [for the reforms]. I'm going by what the economic advisors say because they are consistent. Bolsonaro's reform proposal will have to save at the very least 1.4% of Brazil's GDP, the same amount that would happen under Temer's proposed reform. How much would the market go for a reform proposal that's less severe than Temer's? It's hard to say, but the situation we have today is of inflation under control, a low federal interest rate and a steadily increasing debt-to-GDP ratio. If the market understands that the debt-to-GDP won't stop rising, inflation starts to climb up, and the federal interest rate will follow along. The balance we have now is based on an expectation that the reform will go through. What reform? One that will save, at least, the same 1.4% of GDP. What if the Social Security reform doesn't happen? We will have a problem. Many expectations will be frustrated. I don't think Brazil will fall into the abyss right away, but the market will get frustrated and our economic recovery can be severely slowed down. What if a Reform bill passes, but saving less than 1.4% GDP? It's slightly better. Those are different degrees of economic mediocrity. What about the capitalization idea proposed by Minister Guedes? It's the ideal scenario, no doubt. In that regimen, each generation saves for its retirement. But right now, it's the economically active population saving for the retired folk. When you instate capitalization, there's a vacuum and a dire need of fiscal resources. A Datafolha poll shows that 65% of all Brazilians see the Bolsonaro administration in a positive light so far. Do banks see any concrete economic consequences of that feeling? We see an increase in loan applications from small and medium-sized companies. How significant is this increase? We are working with an expectation of growing our corporate loan business around two digits this year. From an investor perspective, there is a clear difference between the local and international investors. The locals are already making investments, banking on the Social Security reform and the economy recovering quickly. International investors are taking a "wait and see" approach. But are Brazilians making direct investments? But is there significant investment in companies? They are investing in their businesses, but larger companies are also more cautious. Naturally, their processes are slower due to their size. Are you seeing more investors interested in setting up meetings here in Davos to talk about Brazil? Considering that emerging countries cause limited interest, Brazil is getting attention because it has a new president and a new economic team, and those bring better odds of economic growth in the years to come. So, yes, my schedule is pretty full.